​The youngest member to represent the ​Indian national football team at the AFC Asian Cup, 2019, Anirudh Thapa has still not recovered from the heartbreak of being knocked out of the tournament after coming so close to qualifying for the next round. 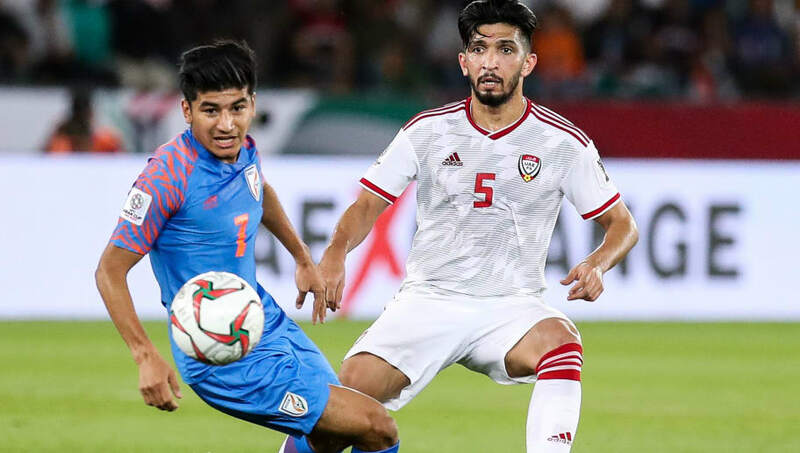 After starting the tournament in incredible fashion by destroying Thailand, India got knocked out courtesy of an injury time penalty conceded against Bahrain. Even though most of the Indian team were playing for the national side for the first time, Thapa was the youngest among all of them. In an exclusive interview with ​Hindustan Times, Thapa has revealed that he has not recovered from the disappointment of his side's exit from the tournament. He started by stating, "In the match against UAE, we got a couple of clear chances in the first twenty minutes and the match would have been over if we scored. But, we were unlucky to miss all the opportunities and that resulted in some pressure. In the last match (against Bahrain), we went with an extremely defensive approach and that did not work out well for us." Speaking about that game against Bahrain, Thapa described what happened in the match as he said, "We were defending the whole time and we were not able to play our natural game. Our main target was to press them high but because of our defensive approach, we were not able to achieve our goal." He continued, "It was a crucial match for both the teams and they came all out at us. With the strikers finding spaces in our box, it was tough for us to execute our plans and that proved to be our downfall." Talking about ​Stephen Constantine's exit from the position of the coach of the Indian national team, Thapa claimed, "We came to know of his decision after the game. He said that he is resigning and it was not because we lost. He told us that even if we won, he would have resigned after the tournament anyway"
Finally revealing what he learnt from his experience in the Asian Cup, the 21-year-old youngster stated, "The biggest thing that I learnt in this campaign is that we cannot give up till the last minute. A game can change in one single move. Also, the opponents we faced in this tournament like UAE and Bahrain were quite impressive and this experience will surely help me in developing my game for the future."